Air India announced a Great News for all Indian Citizens! “The Aviation Ministry passes the air fare brought forward to Modi. “All Senior Citizens of Indian nationality and permanently residing in India over 60 years of age get Air India Flight tickets at half the price for travel within INDIA”. Yes, It is True. 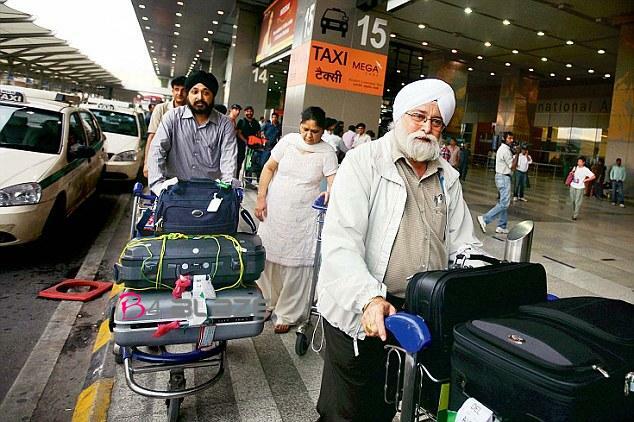 A Senior citizen of Indian Nationality, permanently residing in India and should have attained the age of 60 years on the date of commencement of journey. Requirement Documents is, Any valid Photo ID with date of birth e.g., Voter’s ID card, Passport, Driving license, senior citizens ID card issued by Air India etc . It gives 50% of Basic fare on select booking classes in Economy cabin per each Individuals. This Concession only for travelling Any sector within India. The Ticket Validity is 1 Year from date of issue. People should purchase Ticket to be 7 days before departure. (Under 2 years) 1st accompanying Infant – Rs.1000 per coupon, Plus applicable taxes. 2nd and more Infants, no discount permissible for Infants. Kajal Aggarwal Emotionally Says about Nisha Aggarwal! Do you make calls or receive calls in your kitchen? Then You Should Read This! The World’s Hottest Doctor (like a model)! All Guys Would Want To Get Treatment From Her Now..! !